Fat grafting of the face is a versatile enhancement procedure that can strategically repurpose excess body fat to minimize signs of aging and restore an individual’s youthful facial appearance. As the face loses volume and develops wrinkles over time, fat grafting can address areas around the eyes, mouth, and/or cheeks to smooth the appearance of fine lines and restore lost facial volume. Furthermore, this procedure can be utilized to diminish signs of scarring as well as add volume to other parts of the body, such as the breasts and buttocks. 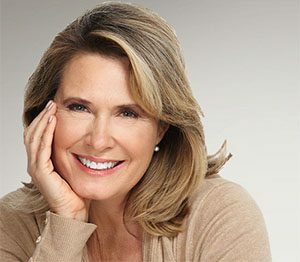 Dr Rory Dower performs the procedure according to each patient’s unique cosmetic goals to provide a natural-looking, rejuvenated final outcome. After a comprehensive discussion about your reasons for surgery, Dr Dower can help you attain your aesthetic ideal by developing a personalized treatment plan to ensure the results from fat grafting align with your surgical expectations. At our practice, we place special emphasis on patient safety and comfort during all treatments. Because this innovative procedure utilizes your own fat tissue, harvested from liposuction in a fat-rich region of the body, there is generally no risk of an allergic reaction. While fat grafting can be performed alone, it is often combined with adjunctive enhancement procedures, such as a facelift or eyelid surgery, to provide a more comprehensive cosmetic result. This procedure also has the benefit of longevity, as results often last years longer than those provided by non-surgical injections and dermal fillers. The surgical process will begin with a transparent consultation with Dr Dower, in which he will listen to your unique goals and expectations for surgery and discuss the involved risks of the procedure. Once your customized treatment plan is created, the necessary fat will be harvested through liposuction. The extracted fat is then specially prepared and cleansed before injection into the targeted regions of the face and/or other planned treatment areas. Very thin cannulas used to inject the fat into its new location provide advanced surgical precision, generally allowing fat cells to survive at the treated site for many years to come. Depending on the exact nature of your treatment plan, and whether fat grafting is being performed in accordance with other procedures, the surgery may utilize IV sedation, local anesthesia, or general anesthesia. Each patient’s recovery period differs based on the complexity of their surgery, and Dr Dower will provide you with your own post-operative instructions. However, in general, the fat grafting procedure alone typically involves only minimal discomfort after surgery. Patients are usually able to manage any pain during recovery with over-the-counter medication. All individuals who undergo surgical fat grafting can usually expect some degree of bruising and swelling in the treated areas, as well as roughly one week of recovery time. It is common for the areas receiving fat injections to temporarily appear slightly more augmented than expected; this is normal and accommodates for the 30-40 percent of transferred fat that will be reabsorbed by the body. Dr Dower has extensive knowledge of the face and body’s complex anatomy, as well as a trained aesthetic eye. He can redistribute excess fat with optimal control for results that appear natural and refined. For more information about fat grafting enhancement, or to schedule a consultation, please contact our practice today.